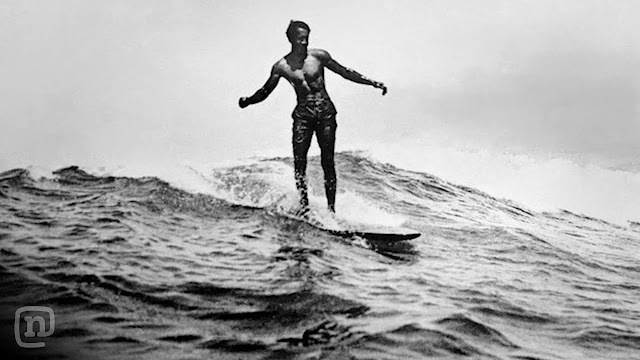 Hermosa Surfboard®: Who was Duke Kahanamoku? In 1905, a teenager named Duke Kahanamoku and his friends began to gather under a hau (lowland) tree at Waikiki beach. 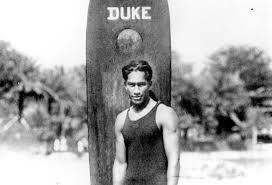 Duke and his friends, who spent their days surfing, later created their own surfing club, Hui Nalu, or "The Club of the Waves." 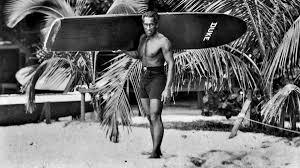 Duke and his friends later became known as the famous "Beach Boys of Waikiki" and are credited with the rebirth of surfing in Hawaii. Another individual who played an important part in the revitalization of surfing in Hawaii was also the first to bring the sport to California. In 1907, California land developer Henry Huntington asked Irish Hawaiian George Freeth to give a surfing demonstration at the opening of the Redondo-Los Angeles railroad at Redondo beach. Freeth was also the first person to create a shorter surfboard by cutting the large 16-foot design in half. His introduction of surfing to the spectators on the beaches of California ignited a revolution in both surfboard design and wave-riding techniques. The California shores soon became grounds for surfing expansion and innovation. 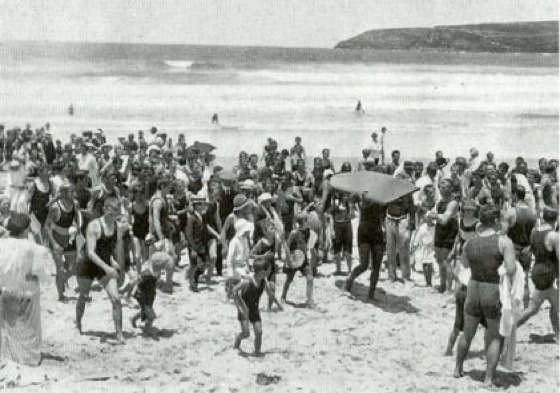 Over the following years, the freedom to experiment in size, weight and shape, along with the introduction of fins and Styrofoam, became popular topics for surfers looking to equip themselves for the larger and more challenging surf in places such as the perilous North Shore of Oahu during the winter months. The gentle waves found at Waikiki beach were perfect for the promotion of surfing, but it was the lure of giant waves that prompted the real dares for surfers looking to put it all on the line.